Get deep in the land of smiles! The Land of Smiles will have you smiling from ear to ear at the white-sand beaches and dazzling reefs flaunting for you to enjoy. 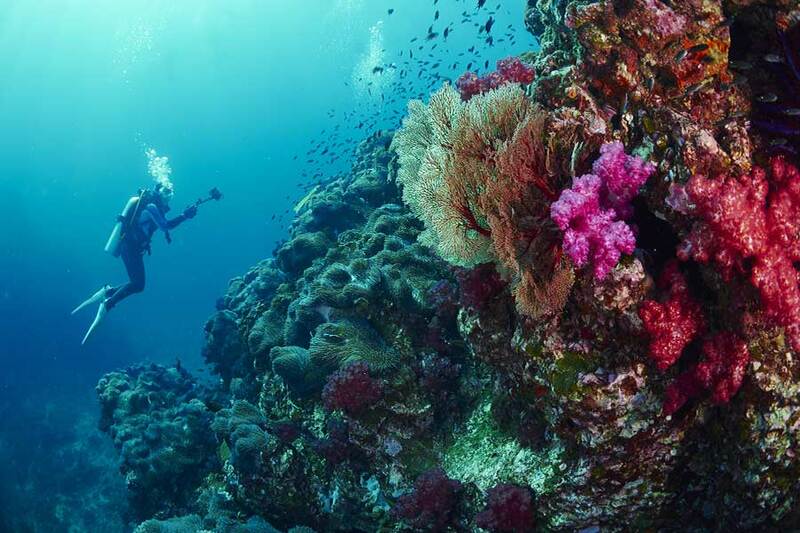 Home to some of the best dive sites in the world, Thailand is a hub for experienced divers and new comers alike. From reefs to wrecks, limestone pinnacles to caverns and open seamounts – there is much to explore. The clear waters, pristine beaches and colourful marine life will truly leave you in awe! 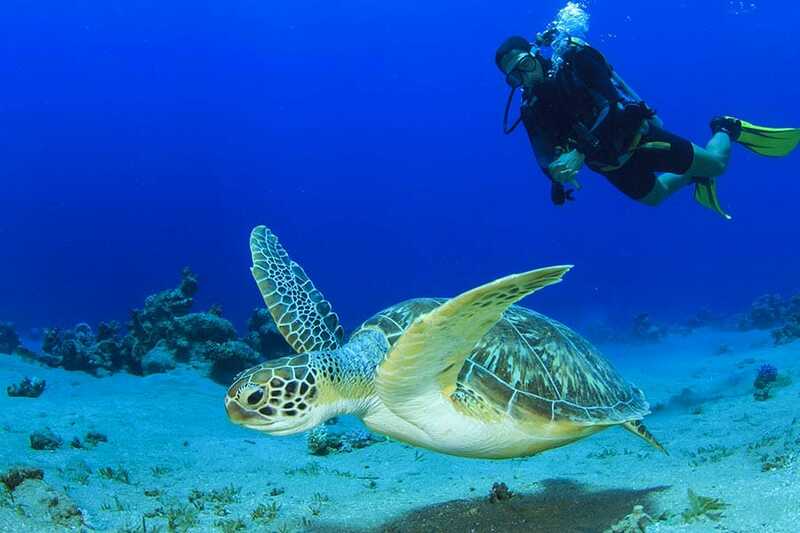 Whether you have 1 day, 2 days or more, there are many options for diving expeditions across the country. Countless ‘see it all in a day’ cruises leave from Chatong Bay in Phuket where you will get to explore rock, reef and wreck sites all within the day. If you have a little longer, set your sites on King Cruiser Wreck. A famous dive site for those who relish the slightly eerie yet stunning transformation of a sunken vessels. Having been submerged for almost 40 years, this wreck is now a bustling underwater city; attracting a diverse network of marine life. A trip to Thailand isn’t complete until you’ve been to the pristine islands of Phang Nga Bay. Nestled between the mainland and Phuket island; it is home to the famous James Bond Island and of course many underwater reefs right off the beaches. Journey further south to Krabi province and you’ll discover Mu Koh Lanta National Park; a natural oasis many travelers claim as the best diving in the world. Swim past soft corals and manta rays or head north to Hin Muang and explore the tallest vertical wall in Thailand. The options are endless! Got a few days to spare? Live-aboard trips are options to experience a few nights on a boat while spending daylight hours in the water. These can be booked for experienced divers and those in the process of getting their PADI license. With so many options and sights to take in, it may be necessary to extend your Thailand holiday – or book another! When diving in Thailand you are almost guaranteed to encounter reef sharks, clown fish and the odd turtle or 2. The luckiest divers have even come across magnificent whale sharks! Don’t miss out on swimming with these creatures of the deep. Acquiring your PADI or dive licence while on holiday only takes a few hours over 2 days and is well worth your time. Thailand has many reputable companies that offer intro courses for the eager learners and refresher dives for those that are a little rusty. Most companies operate out of popular locations like Phuket, Phi Phi Island, Koh Samui and Koh Yao. Dive into your next holiday destination: Thailand!